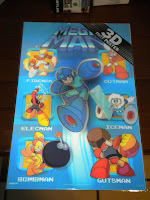 While 2011 may be lacking in terms of actual Mega Man games, the year is definitely looking to trump '04 when it comes to merchandise. Comic books, manga, art books, apparel, birthday party supplies, model kits, action figures and now... posters. Yes, it's one of those news days. 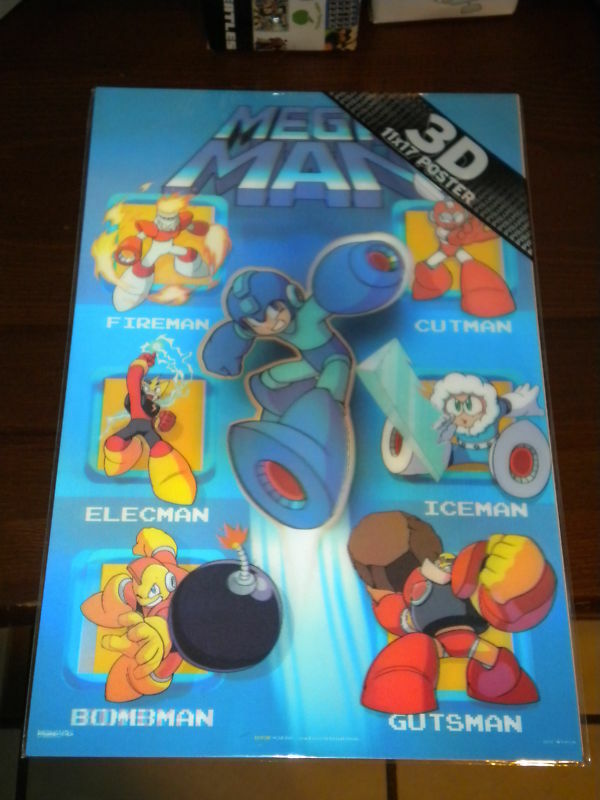 While the item itself may not be hugely interesting, it's worth noting that this really shows just how far Capcom is willing to market Mega Man present-day. It's the little trinkets like this -- the t-shirts, posters, and trading figures -- that help to raise series awareness for the masses. It certainly worked for Mario and friends, and Capcom looks to be following suite. Sure enough, you don't need to look too far to pick one of these up for yourself; Poster Revolution is selling the poster directly for $8.74 -- quite a steal, really, as the site notes it regularly sells for $20.00. If this is something up your alley, click the above link to order! Thanks for the tip (and pic), Quick123! The trinkets are nice, too bad their hatred of Megaman games is unquenchable. Yeah, I know. I mean, I liked some of the MegaMan games. I just wish they shown some love to them. I mean, Zero Collection was a hit last year yet there are some who hate it cause of its new features.